‘Osmotic Shock’ is a pure nature shot of seabirds foraging on marine zooplankton which have been stunned by the freshwater output from glacial meltwater. 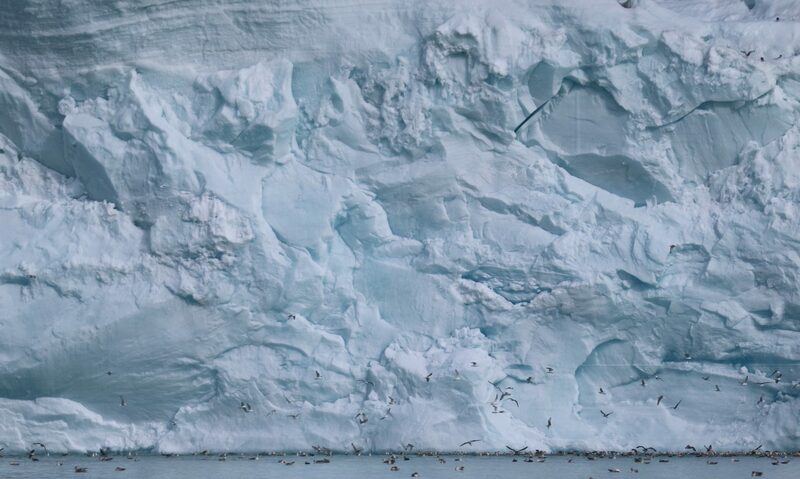 Climate change has accelerated the retreat of this 50m high glacial wall, providing feeding opportunities for large groups of kittiwakes and fulmar in the Arctic. The Research Image competition celebrates images captured by Science Foundation Ireland funded researchers during the course of their research. The winning image will feature on the cover of the SFI Annual Report.